You could encapsulate just about anything in the world of prepping under one simple word: planning. Preppers are planning for different scenarios where they must implement one or more plans for how to deal with various aspects of said scenario. We plan on how we will act, what prepping supplies we will need to acquire and we plan how to talk to family members and avoid neighbors. Preppers plan for medical emergencies by selecting the right medical supplies, books and resources such as wilderness training to put us in a better position to render first aid to wounded family and friends. We plan for economic collapse by investing in precious metals, or diversifying our income by a second or even third job. Preppers plan to bug out and deal with violent confrontations from displaced and possibly hostile individuals or groups that will stop at nothing, including your life to survive themselves. Gardens, food, shelter, alternate power, FEMA, government abuses and on and on we have our plans. But are you planning to fail? Is what you are doing really a plan at all? What is your prepping plan? I have written a few articles on the subject of planning with respect to prepping because it seems to me like a logical step but I was reminded of this topic again while planning a backpacking trip with a small group of my daughter’s friends. We would be going into the woods in a remote location that I had been to before, but my “plan” focused on me really – the basics I knew I would need to take into consideration and I had not fully appreciated this group of kids that I hardly knew. I hadn’t expanded my scope of thinking outside of my own little bubble. Almost instinctively I was making lists in my head of what gear I would need and where it was stored. Mentally I calculated the weight I would be packing in and pictured myself walking through the woods with my faithful dog and a bunch of teenagers lagging somewhere on the trail behind me. It didn’t take long for me to figure out that I certainly couldn’t “plan” on each of these kids knowing what they were getting into and what they would need. I started writing out a list of the basics: Who, What, When, Where, and How. I left out the Why because I don’t need an excuse to go live in the woods for a few days, I have been waiting for almost a year for the opportunity! In my revised plan, I focused on what they would each need to have, the conditions of the voyage into the great unknown and many details the parents would likely need to know. Before long my plan was a two-page word doc that my daughter laughingly said “detailed enough, Dad?” It’s a simplistic example, but I started thinking about my prepping plans considering that exercise. When I started prepping, the first thing I did resembling a plan was to write out a long list of the items I thought I needed to focus on in order to “be prepared”. I still have that list around here somewhere but I remember exactly the types of things I scribbled down back so many years ago. There were sections for Food, Water, Shelter, Security, Finances, Gardening and Medical. Each section had a list of items I knew from my research could help me and my family. It was a good start but just writing down these supplies I needed wasn’t really a plan. It was a shopping list. My list helped me get started with the acquisition of food. I was able to focus on first a 30-day supply of food and that grew as I had other items checked off. My list was constantly being analyzed for priority. If I got an extra $100 to spend I would look at my list and see where I had the biggest hole in my preps and move in that direction. Some months I was able to cross items off my list and other months I wasn’t able to. It helped me but again this was not a plan. Eventually my supplies stared to add up and I was feeling more comfortable with the odds of my family being able to survive, I still didn’t have a plan other than to stay in my house and use the supplies we had been scraping together. I had a supply of ammo, weapons, rain barrels, our garden was started and the pantry was filled with canned beans, rice and corn. I had freeze-dried food under the beds and medical supplies stashed in bins at the bottom of closets but after all this, the only thing I could really say was that my plan was not to need to go to the store for a while. I could sit pretty while the world collapsed at least for some time. No matter how much you stock up, it will run out eventually. Your plan to stay on your piece of land might need to change against your wishes. If the world goes to hell, your reality will likely change. 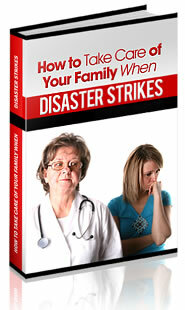 Your health, responsibilities and abilities could all suffer in a long-term collapse. Going back to my backpacking analogy, I started to reflect on all the other people whose lives could impact my prepping ideals. It is wise to take these other people into account when I made my plans. My neighbors, the people down the street, law enforcement, rescue services, the military, gangs, relatives, friends. A disaster will likely be a dynamic event that you will have to adjust to and make changes to your plans on a daily basis in some cases. A warehouse of supplies is nice, but what if you are forced to leave all those behind? So, in some ways all the work we think of as being the bulk of Prepping – the accumulation of gear, guns, ammo and supplies only gets us maybe 15% of the way to this mythical point of preparedness. The rest is what we will do with those supplies we have accumulated, how will we use them with our families in various situations. How will we ensure the use is done in a manner consistent with how you envisioned them when you purchased the supplies. Do we need to ration and when? Who can access the supplies and how will you deal with resupply? Who will you share with and what are you prepared to do in situations where you don’t want to share? But that’s just the Stuff part of it. There is so much more! Prepping is not simply distilled only to the acquisition of gear. You should not relax when you have a pantry full of food and some camping gear and a rifle or two. Granted, that will put you ahead of many people, but that is only a short-term gain. If you are searching for true preparedness, your plans must begin to imagine a life without many of those supplies you have stockpiled because in a true grid-down disaster, end of the world calamity that you are imagining there is a pretty good chance your MRE’s will be long gone, your ammo could be gone and any medical supplies you had might have vanished months ago. For me, a true prepping plan is being able to live without any of the supplies I am stocking up. I am pointed in that direction now with efforts on self-reliant power, food production and living off the land as much as possible. Does that mean I am not stocking up anything and I am only going to be prepared to eat bark and roots? Nope, but I won’t be sitting in my suburban bunker eating my canned peaches watching DVD’s on my solar-powered player either as the world burns outside. The supplies will only buy me time. That time is going to need to be spent on many initiatives that will lend themselves to survival. Survival for my family and everyone I can bring along with me. The post Are You Planning to Fail If SHTF? appeared first on The Prepper Journal.